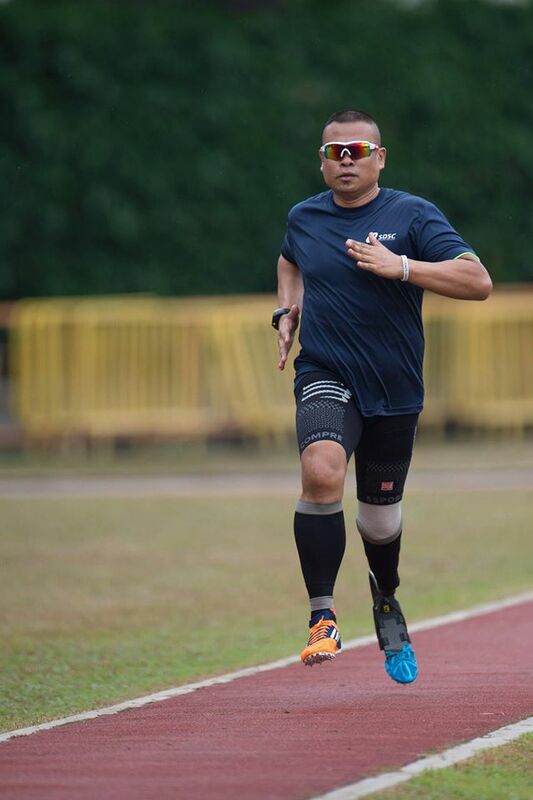 Interview with Compressport Ambassador – Singapore Blade Runner, Md Shariff Abdullah | JustRunLah! 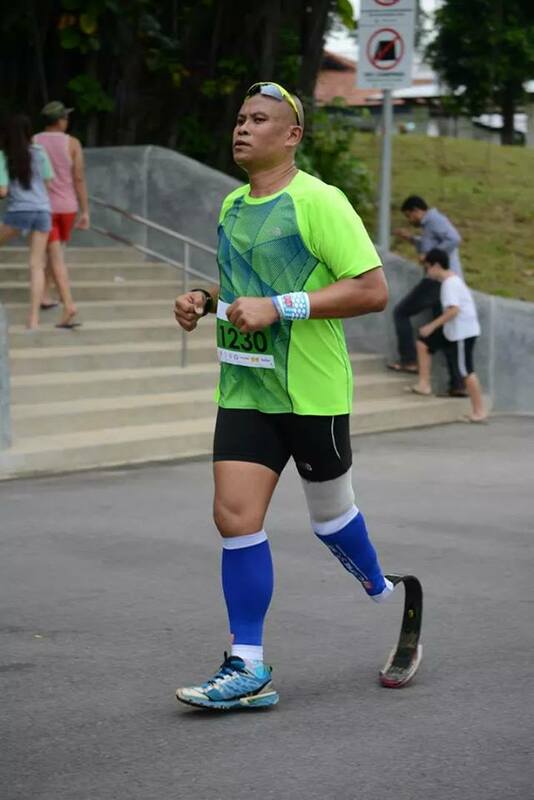 Brand ambassador at Compressport Singapore, Shariff is first mobility impaired marathoner in Asia. born with a single leg before having it amputated further up to his thigh. Shariff began his journey as a runner after a failed suicide attempt; in this interview we speak with Shariff about his passion for running. Shariff: Md Shariff Abdullah Peters, also known as Singapore Blade Runner. Shariff: At the age of 40 years old, my stump was amputated due to skin infection; after 3 months of recovery, I was inspired by South African Paralympian Oscar Pistorius and started running to inspire everyone. 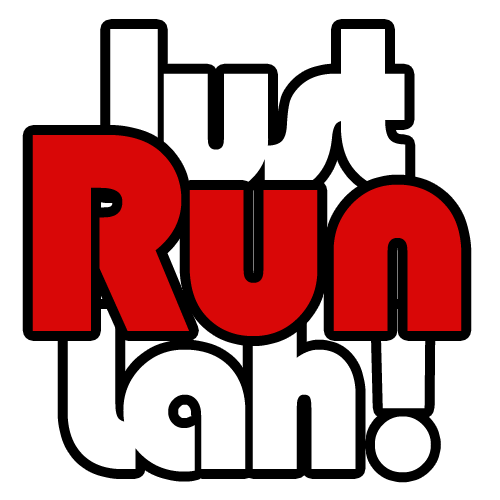 Shariff: Running is one of the healthy sports to stay healthy, fit and strong. You need to have courage to start, strength to endure, resolution to finish and never give up. Shariff: My biggest achievement is to be qualified and having participated in the prestigious Boston Marathon for 4 years since 2012. JRL: How has Compressport products assisted in your training and achievements? Shariff: Compressport products really help me on my performance and recovery. Ever since I started to wear the compression, I have no muscle cramps on the calves and tights. During the run, I had no pain, cramping and tightness in my calves which I almost always have. My legs still feels fresh at the end of runs and I continue to wear them for a few hours afterwards. On the following day, my legs still felt good, as if I had not ran the day before. The calf sleeves certainly did make a difference for me! It does not only help me with races but also with recovery! Shariff: My goals are to run the Tenzing-Hillary Everest Marathon in May 2016 and also taking up courses to become a coach for para-athletes. Shariff: Get the experience running on the trails and lookout for the beauty of rail corridor and historical places. Shariff: Join me, the Singapore Blade Runner, in running through the rail corridor on a trail instead of concrete pavements! Escaping into the woods or meadows gives you an experience of nature that road runs cannot provide. Also, the running surface of trails are softer, which gives your body a break too. The benefits of trail running span across the physical, mental, emotional and spiritual areas of your life. Shariff: Nothing is impossible when you believe.